Ensuring that the right, competent people are the only ones to have access to your property is essential to prevent theft or damage whilst maintaining complete records of who is on the premises at any time. 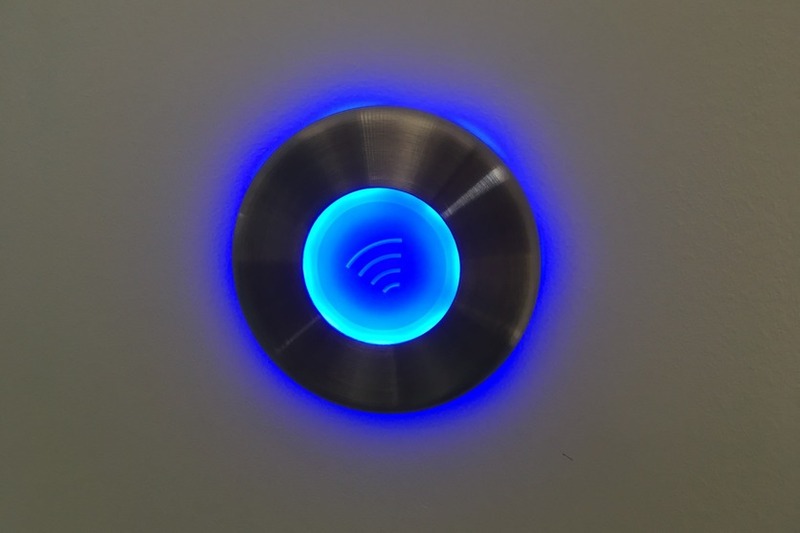 For many companies, access control is their silent unobtrusive guardian which is always alert. Initially we will perform a thorough survey of your premises and develop a robust but practical system for your needs and budget. 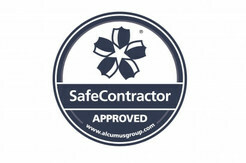 The survey will be presented to you and will include a clear specification including costs and risk assessments. On your approval, our highly professional engineers will install the system at a time to suit your business requirements and with the absolute minimum of disruption to your schedule and clients. 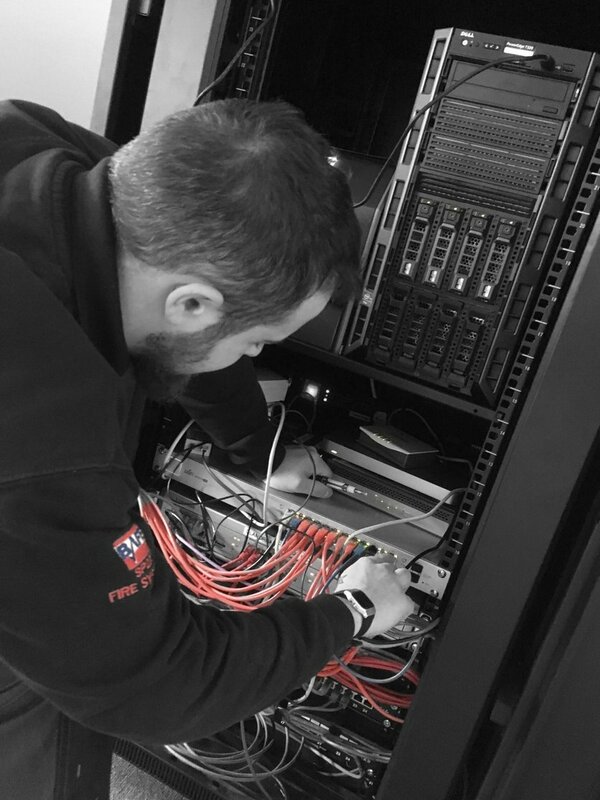 Support, upgrading and maintenance will then become our responsibility, guaranteeing that your system will work optimally at all times, and being a local company you can rest assured that our engineers are never far away. An electronic access system guarantees that you will never need keys which can be easily lost or copied and will ensure that only you have full control over which persons are allowed on your premises. 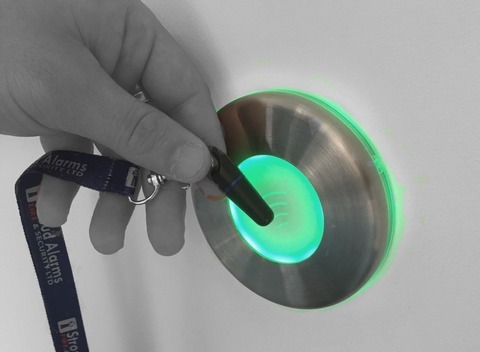 A major feature of access controls is that different areas of your premises can have different levels of access and restrictions can be applied by person, time or need. 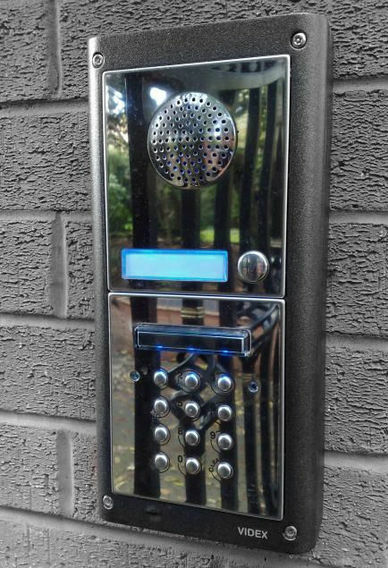 Please click here for an example of an access control system we recently installed at the Star Centre in Ullenwood. These can include intercom systems, code locks, proximity swipe tags, video entry phones, etc. Once a caller has been verified, the door can be opened by various means. Entry can be controlled without someone having to be at the door. 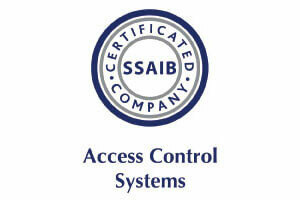 We can offer an access control design solution to match a variety of budgets. We can also install from new, or upgrade an existing system. Either by automatic or manual operation, solid barriers and gates will control access to your premises and prevent unwanted vehicles or pedestrians accessing areas and compromising safety and security. Linking your gates to a CCTV system provides cost effective security where a number of entrances/exits can be carefully monitored by a minimal number of staff. We will provide a thorough survey which will detail your needs clearly, provide a full risk assessment and will be within your allocated budget without compromising the effectiveness or quality of our supplied products. The barriers and gates can be controlled manually or remotely allowing the minimum of staff to watch over the maximum area. Being based in Gloucestershire, we also provide a quick response when needed and our service and maintenance division can ensure that your gates and barriers are always working efficiently. 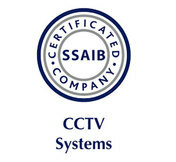 Whether for staff/visitor security, risk mitigation, employee productivity assessment, access control or process monitoring in hazardous areas, CCTV is a highly cost-effective method in which single or multiple areas can be monitored from central or multiple points which can be situated on your premises or away from them. High-definition images can be viewed in real-time or recorded digitally for post-viewing, and cameras can be set to record continuously or operate only when motion is detected. Night or day, modern cameras using advanced recording techniques will provide clear images, full of detail in all lighting conditions. Our teams of professional experts can install complete systems unobtrusively, at a time to suit your domestic or business plans, with the minimum of disruption. 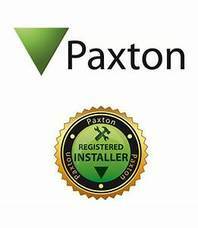 Our range of services doesn’t end with the installation and testing schedule though… We will continue to monitor and maintain your system and can also suggest or perform upgrades if and when necessary. Being based in the heart of Gloucestershire guarantees a quick response when needed and you will never be left waiting too long for us to attend and resolve any incidents. Stroud Alarms is pleased to offer the Quantec Nurse Call and Patient Remote Monitoring systems. Quantec is a powerful yet easy-to-use nurse call and patient remote monitoring solution that helps ensure vital communication throughout a building. In environments where efficiency and speed is paramount, Quantec delivers, helping save staff time, minimising disturbance and improving the quality of patient and employee care. Recently updated to include a host of new features, the way the system operates can be tailored to suit a care facility’s specific requirements. For example, different day, night and call divert arrangements can be easily accommodated to meet the exact operational needs and precise layout of any building. 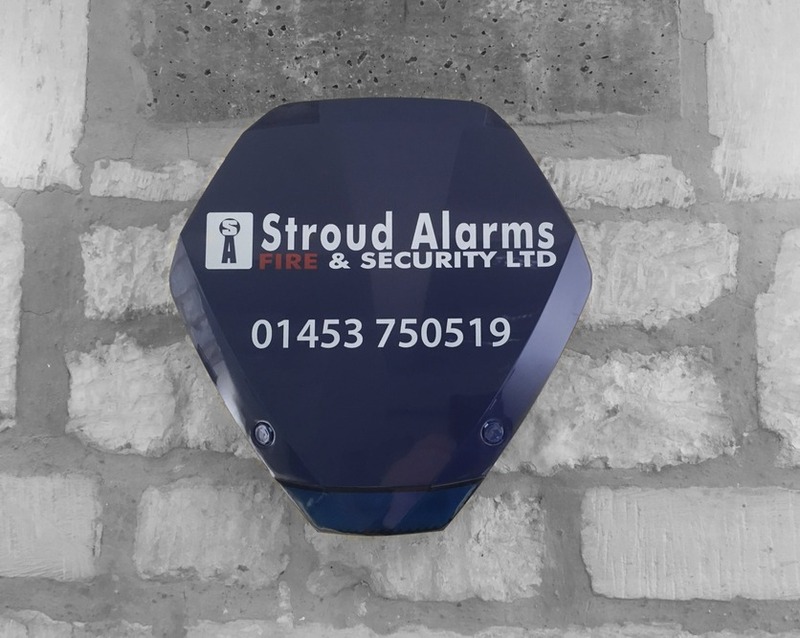 Stroud Alarms are Insurance and Local Authority approved installers, backed by a 24-hour call-out service, SSIB accreditation and all our installations comply with current European Standards. Whether domestic or commercial systems, we apply the same high standards of excellent design, installation and service, backed with rapid response times. 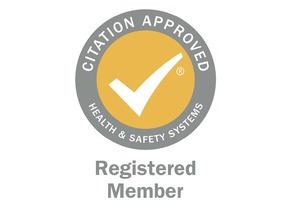 For optimal protection, the alarm can also be linked to a remote monitoring centre. 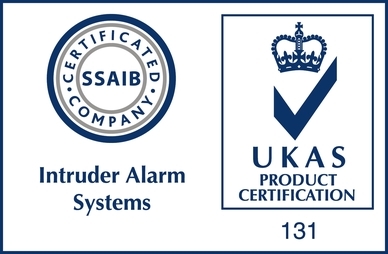 Stroud Alarms are a BT Redcare approved installer after meeting and surpassing BT’s stringent quality standards. You do not need an extra telephone line and even if your line is cut, a mobile system will alert the call centre to any unwarranted intrusions. Our professional teams will design each system to fit perfectly into your home or business and ensure that it works accurately and unfailingly all the time. 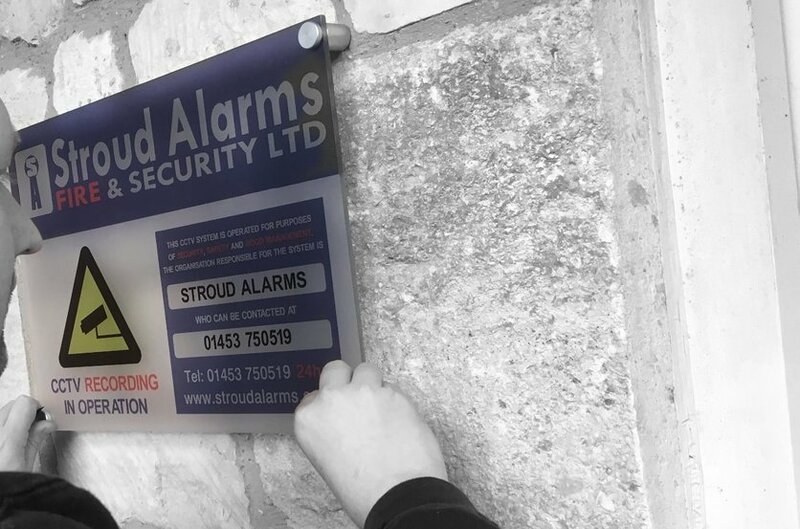 Our intruder alarm systems also come with the benefit of a 24-hour emergency service and maintenance contract, where we will come out on your behalf to silence your alarm at any time of the day or night. Offsite remote monitoring is also available using a variety of secure signalling options. Every home is different in shape, size and contents, but each one is a potential target for the opportunistic or professional burglar during the day or night. A home with no external lighting, no sign of occupancy or without a burglar alarm is the most attractive proposition to the thief and the greatest risk to you. We can advise, design and unobtrusively install a cost-effective system that will protect your property at all times yet will still let your pets wander in and out at will. 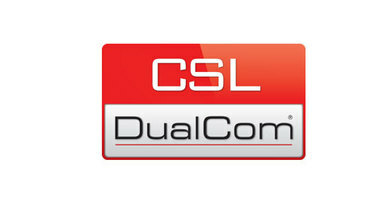 Each of our systems is easy to operate and can be monitored by our Alarm Receiving Centre which is manned 24 hours a day. Alerts can be sent to your telephone by a speech dialler as a recorded message, or a named keyholder can be contacted directly on their mobile.